How creative is this paper towel turned bracelet holder? I would have never thought of this, so I'm glad someone else did. 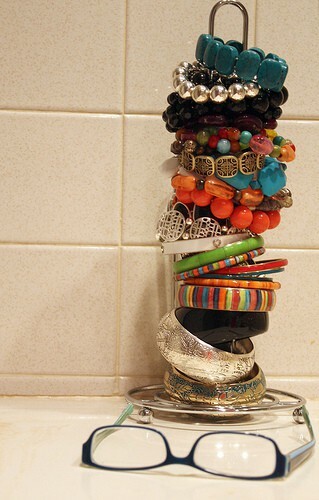 What a fun and easy way to display your bracelets on your bathroom counter or dresser. I'm totally stealing this idea. via, but I first saw on Sierra's blog! ... that I attached to the cabinet door under the sink next to my toilet (yummy) to use as an extra toilet paper holder. It's so convienent, you have no idea. Here's something for your kitchen. Uhhh, genius! 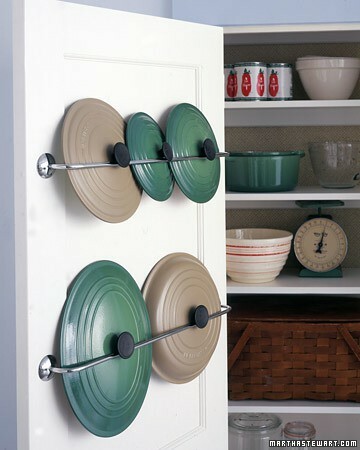 And the rail holding the lids is only $1.99 from Ikea. Say no more. I'm sold. 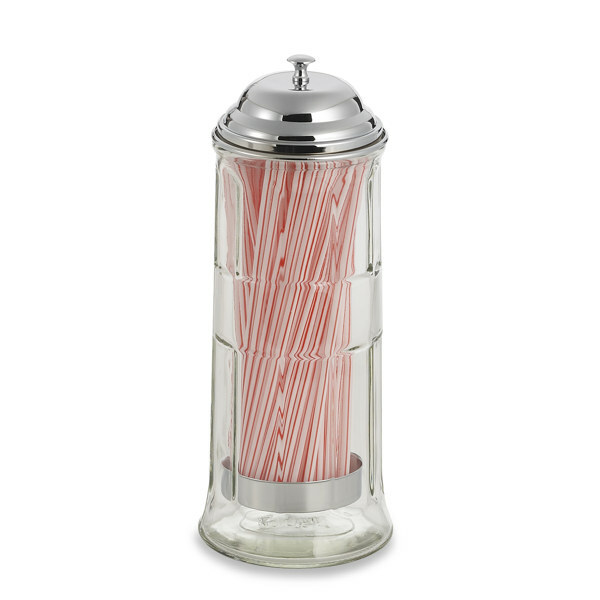 ﻿And last but not least, a straw dispenser turned ribbon holder. I need. All you need is an old fashioned straw dispenser. Here's one from Bed Bath and Beyond for $14.99. As always, be sure to use a 20% off coupon. I have a huge stash of their coupons in my car so that I always have some handy at all times. God forbid I'm without a BBB coupon. It's official, I'm doing some organizing this weekend now. I'll be starting my adventure off at Ikea. Sooo ... ummm ... Mom, can I borrow your check card by chance? And I may need to do a little shopping at Bed, Bath and Beyond too. After all, my birthday is only a few weeks away. What are your outside the box organizing solutions? I love all of these ideas! Especially the bracelet holder and the TP holder! PS. Really, what do you want for your birthday? TOTALLY stealing this idea. like this weekend. currently my bracelets are stacked on an old paper towel cardboard roll. it can't really withstand my massive amount of bracelets. and some of my bracelets are even on there. Could totally use that paper towel holder for all my bangles. Some people are so genius! i looove this post! thanks so much for the great ideas. 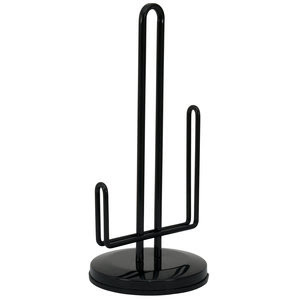 I really like that holder from walmart too. It actually looks like it was made to hold bracelets :) I actually had to stop by walmart after work today so I will check it out. great post! these are fabulous ideas! Def some cool ideas girl... only thing i dont love about the bracelet holder is that im sure i'd want the bracelet all the way at the bottom and then have to take them all off to get to it, and then who has time to put them all back on... yes, im THAT lazy. LOL! Such a great idea with the toilet paper holder!! SUCH great idea!!! && they all look cute!! LOVE the idea for the bracelets and ribbon!! love those ideas! i can't wait for the mr and i to get a new place and decorate/organize the hell out of it! I know I can always count on you!! LOVE that bracelet idea!!! And that tp holder. 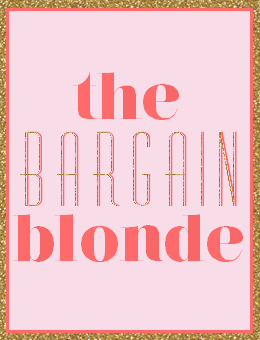 The world is a lot better with the bargain blonde in it, that's fo sho. ack!! you used my idea! :) Well, truth be told it was my mama's idea first and then I saw it on Pinterest (the best website everrrr) I love the other ideas too!! You're a smart cookie! I LOVE stuff like this! The paper towel holder for bracelets is GENIUS! 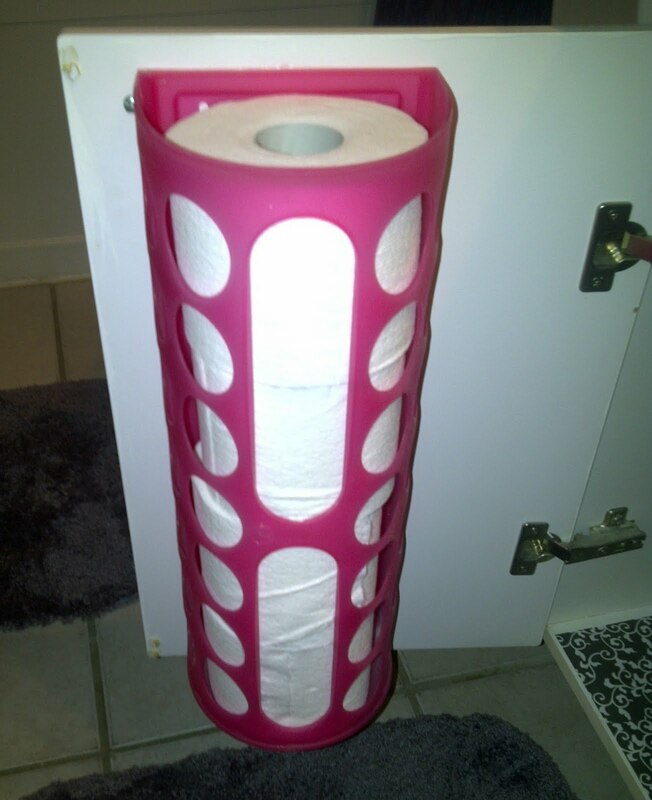 There's a contraption similar to the toilet paper roll holder except it's for plastic bags in case you're anything like me and hang on to those! oh gosh that bracelet idea is genius!!!! thanks for sharing!! Awesome ideas! I have an extra paper towel holder sitting in a cabinet in my kitchen, so I'm definitely using your idea! And I've been looking for a nice way to hold extra toilet paper, but I haven't found anything that I like, but your idea is so creative! 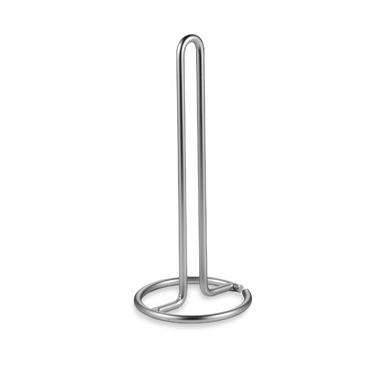 And as for the straw holder...I've been looking for one of those, to actually hold straws. I thought I've looked at BBB but didn't find one, so now I know I really need to go searching! The TP holder thing is awesome!! And, I think I'll have to borrow the idea of using a paper towel holder for bracelets. Thanks for sharing! Those are really excellent ideas. I love the paper towel holder one! I use a serving rack for my earrings and bracelets. Its so much cheaper than those tiny little things made for real jewelry storage. Great bargains, thanks!!! Such clever ideas - love it, especially holding bracelets! Great ideas! I especially love the ribbon holder. I never really knew hat to do with all of those rolls. Christmas bulb organizers are great for organizing socks or underwear too. 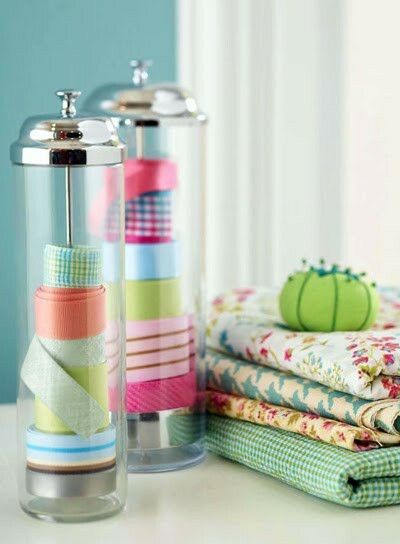 loving the paper towel holder idea! and the rail holding the lids!!! that is freaking awesome! thanks for sharing these great ideas!!! Let's go organize something together. It'd be our own little party. 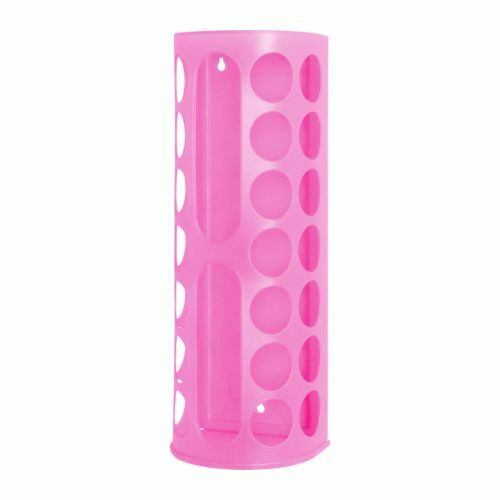 my friend and were literally just talking about using a paper towel holder for bracelets because ive been searching for something to house all mine!! i LOVE the tp holder idea. i hate that an ikea is 2ish hours away from me and shipping is so INSANE on their site. Amaze facial masque. I die. Who knew? Kohl's carries NCAA apparel. Jealous much? Um, yes. Best wedding video ever! Socially maxed out. Woe is me.